The simple answer is that everything you do with content marketing doesn’t have to be a manual process or done by you and your team. Maybe when we use the term “automated content marketing” you might be thinking of AI-produced articles or robot-narrated explainer videos, but that’s not exactly what I’m talking about. Automation helps brands improve their content marketing effectiveness. Use workflow applications to automate and distribute your content. 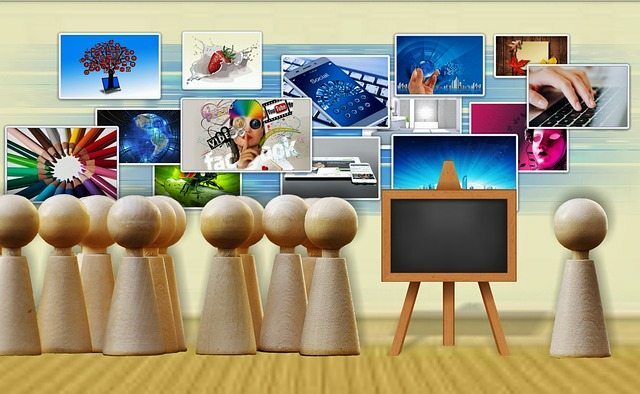 Use paid promotion to increase the visibility and reach of your content. Track how many visits, leads, and conversions you’re getting as a result of content automation. Content marketing automation is the approach of identifying repetitive content marketing tasks and then out-sourcing or automating those tasks through tools and applications. The goal is to help marketers and brands to improve their overall content marketing strategy effectiveness. Content marketing automation can be applied to really just about any phase of the content marketing process from strategy and planning, through creation, distribution and measurement. 1. Decide what you want to automate – You can use Google Alerts to identify what other content is being created on your target keywords. I find it especially useful when it comes to curating visual content like infographics and video. You can also setup content alerts in paid tools like Buzzsumo. 2. Use a content workflow process – My team and I use DivvyHQ to automate the stage, status and process of the content we create for this blog and for our clients. These tools are called workflow applications and they allow us to identify content that needs to be updated and alerts us to the task. They also you to push your content out to your social channels as well as your WordPress website. Other similar content marketing workflow platforms include Contently, NewsCred, and Skyword. 3. Share your content across social media – We use Hootsuite to automatically share content from my website’s RSS feed to LinkedIn and Facebook and share content from other top marketing and business publications. If you want to compare social media management tools, you can also check out Buffer and Sprout Social. 4. Pay to promote your content – Part of my marketing automation process includes digital advertising and using resources such as Outbrain to identify the best opportunities for my content to appear on well-known publisher sites. SimpleReach tells you which content is performing well on social media, helping you to decide whether to use paid promotion or extra boosts on Facebook, Twitter, QuuuPromote and/or Google Ads. 5. Automate your email newsletter – We use MailChimp to send our daily newsletter once a blog post has published. MailChimp also lets you automate personalization and email nurturing of your leads. While MailChimp is arguably one of the best priced email marketing tools available, other platforms to consider are Marketo, GetResponse, Constant Contact, Aweber, and HubSpot. 6. 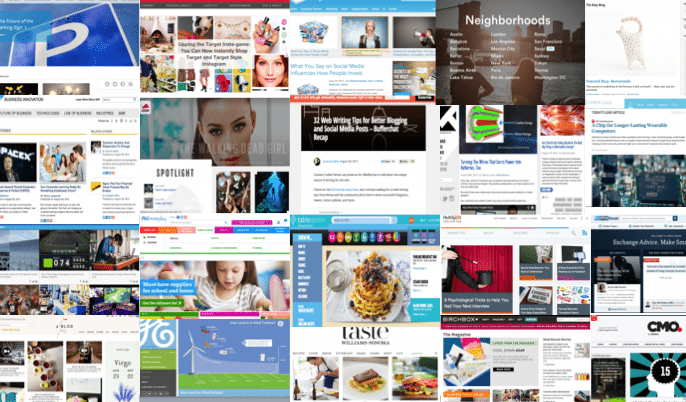 Connect various content marketing platforms – We use Zapier to automatically add the leads collected on my website into my main newsletter list. It also helps me monitor my social media platforms by sending me an email notification when someone mentions me on Twitter so I can respond. Similar platforms include the well-known IFTTT. 7. How is my content marketing performing? The nice part about many content marketing tools is that they are easily customizable. Each month, Google Analytics automatically emails me a report showing me which content and pages are driving the highest amount of traffic and conversions. BONUS: blog writing subscription service. You can also automate your content marketing from creation to conversion. Our Content Builder service identifies the keywords your audience is using, the content they are consuming, and then suggests 100 or more content ideas for you to approve. We then deliver 1, 2 or even 4 or more articles every single week for an entire year. We can even load them onto your website, share or promote them on social, deliver leads and measure your results. Content, as we know it, is essential for brand building, nurturing relationships, and tapping the full potential of a business. It is the fuel that drives content marketing. Not automating your content marketing is a mistake only amateurs make, and if you take top content marketing influencer Jeff Bullas’ word for it, only social media purists would think otherwise. And why should you believe him? Well, Jeff occupies the eighth spot at Forbes’ list of The World’s Top 40 Social Marketing Talent. Simply put, his authority should not be taken lightly. But keep in mind, content isn’t all there is to content marketing. As such, content marketing automation has ceased to be a nice-to-have. If you want to squeeze the most results from your content, however you feel about automation, it has to be done – and done well. In the same vein, Uberflip asserts that content marketing automation gives context to your content in a way that makes sense to both your audience and marketers, allowing you to tweak your strategies towards more favorable results. Perhaps more importantly, content marketing automation enables you to piece every facet of your content marketing strategy together, as opposed to a siloed approach where visualizing the big picture can be a challenge. Gartner found that companies that automate lead management produce a 10% increase in revenue in six to nine months. The Annuitas Group found that businesses using marketing automation for lead nurturing experience a 451% increase in qualified leads. Pardot’s users boosted sales revenues at an average of 34% after using content marketing automation. According to the Aberdeen Group’s research published in 2012, companies that use marketing automation experience 53% higher conversion rates and 3.1% higher annualized revenue growth rate compared to non-users. The bottom line is that content marketing automation helps you to save time, money and effort. It provides a way to streamline those content marketing processes that do not require human intervention. It allows you to spend your valuable time measuring, optimizing and testing new ideas in order to improve your content marketing outcomes. It even lets you ride the current trends in content marketing. All this frees up your time to focus on improvements that will move the needle. Content marketing automation also allows you to be working when you’re not working. Sure you could stare at your twitter stream and try to decide the best time to share your latest article…OR you can use content marketing automation tools to do that simple task for you. All while you sleep! The reason so many content marketers use automation is that it simply helps them to do their jobs more effectively. Great content requires talent and skill to pull off. It requires a human touch, with a dash of artistry and a hefty serving of creative knowhow. To put it simply, content is not something you can automate with little thought. However, that is not to say that our content marketing strategies can’t benefit from a little automation. In fact, marketing automation platforms can provide a serious boost to our content marketing endeavors. Everything from strategy creation, to content positioning, flexibility, and analysis can be assisted by applying marketing automation. “Drive thy business or it will drive thee,” is a familiar Benjamin Franklin line quoted in The 5 P Approach to Copy that Crushes It, a free ebook from Copyblogger. And that is what automation can do for content marketing. It is a system you build to allow you to work on your business, develop a sound strategy, and generate better ROI, all while the more repetitive duties of sharing content on social media, emailing potential prospects, replying to inquiries, measuring the results, among others, are automatically handled by the system you have in place. Choose marketing automation software that comes with email tracking, website visitor tracking, lead management, CRM and social media integration, and built-in reporting and analytics features. Optimize your website to attract your ideal prospects. 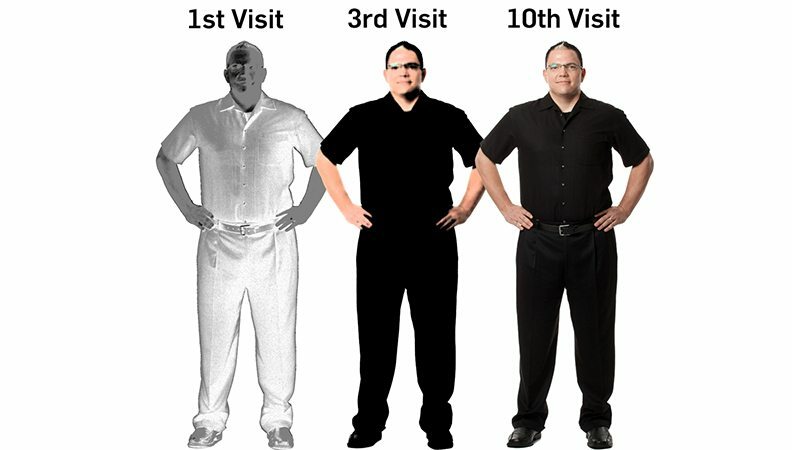 Remember that customer profiling starts on day one. The goal is to build an email list over time. Based on the user’s profile, connect with them by sending relevant content such as informative articles, white papers, ebooks, and special discounts. Use your marketing automation software to create triggered responses. For instance, if a user clicks on content A (an article on your site), does B (downloads an ebook), C (requests a white paper), or D (browses your products), program your software to send the appropriate response for each action. Marketing automation software with A/B testing capabilities (built-in or integration with third-party apps) helps you test and tailor your message to the needs and preferences of your target audience. Remember the goals that A/B testing should allow you to accomplish: To identify, locate, and attract high-quality leads and turn them into buying customers – and ultimately, brand advocates. Create an editorial calendar. Gmail and other calendaring apps let you set reminders via various mediums: email, in-app notifications, text messaging, and so son. 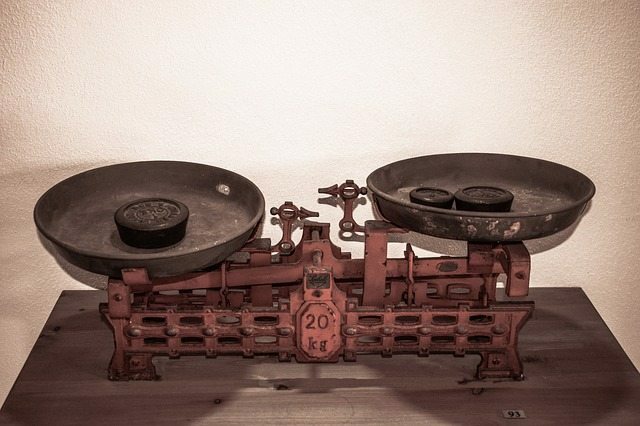 Use your marketing automation tool to establish key metrics for identifying and scoring leads. Software like HubSpot and Act-On have a lead scoring and analysis feature. Build your target’s profile using progressive profiling where, instead of requiring your target to fill out forms with lines and lines of data they may already have supplied your organization in the past, you only ask for new, valuable data, keeping your forms short and easy to fill out. As a lead moves further down the sales funnel, only send targeted content and offers based on their behavior, interest, preferences, and other demographic details such as economic standing, educational background, professional background, purchasing power, and so on. Use your automation software to create email templates and signatures, and message formats tailored to each goal or user, e.g., webinar invitation, invitation to view a recently posted article, share news on social media, or download a newly published case study. Consistently post educational, actionable tutorials or other types of helpful resources that answer your target audience’s questions. Schedule and link these to your social media accounts using tools like Buffer, Tweetdeck, or Scoop.it so that followers on various platforms can be reached. Continuously monitor and measure your results via your software’s analytics, and pivot if necessary. This means being agile enough to quickly respond to changes in your target audience’s preferences. A campaign that generates great results in the first month may not perform as expected in the next month. Be able to redesign your campaign accordingly. Diligently track which campaigns yield the most benefits, and focus on those. Maintain ongoing relationships with existing users. Retention and upselling by being ridiculously helpful will be your next goals. When sharing content, the important thing is to ensure relevance. If the person on the receiving end does not think the content being sent to them do not answer their questions, problems begin and you end up with unsubscribes, and spam and abuse reports. Send actionable, educational, useful content to new leads who are only just starting to get to know your business. Send more detailed information packets to leads that already trust your brand but want to know more about your products. Send links to your sales page to leads that are ready to purchase. Bottom line, the experience you deliver must be tailored to your intended audience, or your marketing will certainly backfire. Another problem is ease of use. A lot of the tools available today are so dynamic (not to mention flexible enough to work across multiple platforms), leveraging the technology to actually implement a more robust strategy isn’t easy. More than half of B2B marketers feel the implementation process is difficult. And, only about 38 percent are using automation to pull-off more advanced marketing techniques like progressive customer profiling. Don’t live your content marketing life on a “hand to mouth” basis. It’s a waste of time and resources. Instead, have the bulk of your content scheduled way in advance, giving you the opportunity to plan ahead of time and integrate content directly into your long term goals. The key here is to balance evergreen content with time-specific content, gaining the best from both worlds. It is likely that this time-specific content is going to need to be produced on the fly and delivered in a precise and timely manner directly where and when it’s needed. Your content teams should be able to handle this endeavor but will find it difficult if the content queue is jammed up with additional, evergreen content pieces. This should never happen. Instead, everything should be planned out well in advance and scheduled ahead of time. This is a major labor-saver, freeing up your content team to produce great pieces of time-specific content when it’s needed. Modern customers don’t just want convenience; they expect it. This has altered the landscape of traditional content marketing somewhat. Perhaps, once upon a time, it was enough for businesses to react to the needs of the customer, or to provide solutions as and when required. This is not the case any longer. Now, business owners need to be proactive. They need to understand the needs of the customer ahead of time and position themselves in a way that enables the direct implementation of a solution. Automation can help us to achieve this. Marketing automation provides us with the data we need to really get to know our customers. By using this data, we can start segmenting customers into different groups and provide proactive services via our content strategies. Leverage your martech stack to store and use data from each and every customer interaction. This includes data on purchase groupings, access points, and search queries. By commissioning reports from this data, we can begin to understand the different people who interact with us, and their different motivations. This enables us to provide content of genuine worth. This is really not possible without marketing automation, and provides another example of a time when marketing automation helped us to go the extra mile for customers. True greatness – in the sense of content marketing – is achieved with flexibility and responsiveness. We’ve discussed the importance of being proactive, getting our content into place before the user even realizes they need it; but this is not always possible. Part of the reason why business is such a beautiful and rewarding – if occasionally infuriating – discipline to get into is its unpredictability. We can use data and analytics to make predictions, and we can set Strategy A, B and C in place to safeguard our actions, but the market or wider social conditions affecting our industry will always throw us a curveball sooner or later. This is why we need to be able to respond quickly and easily. Marketing automation enables us to do this by handling the heavy lifting for us, leaving our content teams the swiftness and freedom required to get in quickly. An extreme example of this is found in the automotive industry, when a manufacture suddenly issues an emergency recall. Without marketing automation, we have to manually locate customers who are affected, divert other content initiatives while emergency content is drafted, and deploy the content where it is required. With marketing automation in place, we can swiftly access a database of the affected customers, contacting them directly via pre-programmed messaging. Our content teams are already free to draft up the important public service piece for hosting on our site and social media, and the content delivery architecture is already in place. The word spreads, and it spreads fast. Our goal is achieved. As mentioned above, this is an extreme example, but the fundamental principles translate across the board. Give yourself the ability to respond quickly and effectively when required. Fields such as content marketing and marketing automation are constantly evolving; in fact, they could be described as dynamic. It makes sense, then, for you to introduce dynamic content to your email marketing and to your website, providing your users with content offerings which are as smooth and pleasing to the reader as that segue. Content marketers now have the tools at their disposal to upload content which changes based upon the location and preference of the user. Utilize these tools and create a much more personalized effect. This personal touch is something which is too often lost during the automation of your content strategies. It is important to reclaim it whenever you can. This one comes down to planning. Once you have launched a killer bit of content, what comes next? Do you consider that content done and dusted and move onto something else? Or do you carefully consider the next steps in your journey and that of your audience? Plan your content carefully. Make each piece worthwhile and useful in its own right but look to build an ongoing narrative, with each piece leading into the next. Refer back to your content marketing mission statement to ensure you are heading in the right direction. We are already well aware of buyer profiles, but the idea of the buyer profile is not simply to segment your audience into manageable chunks, but to whittle your categories further and further to provide the most tailored experience possible to customers. So, if your buyer profiles are not achieving the right result, segment again, narrowing them even further. 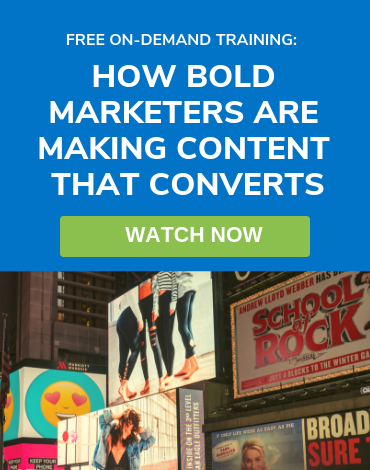 Be as specific as your resources will allow, and achieve far more bang for your content buck. Your automation platform has a reporting function, so use it. This function tells you where leads and prospects are accessing your content, which pieces of content are proving the most effective, and which devices are yielding the most conversions. This represents an astonishingly valuable bit of insight. Knowing which channels are pulling their weight and which ones need further work gives you a strong indication of what you should do next. Automation can, occasionally, become a little too automatic. If this seems like a ludicrous statement, bare with me a moment. What I mean is that we should take every opportunity to inject a bit of humanity into our marketing. Unless you have shelled out for a particularly incredible bit of software, the content you deploy via automation is not created automatically. You have to write it or produce it, so have fun with it. Add your own voice and don’t lose sight of your humanity. Your audience will reward you with a positive response. There’s no harm in casting a glance sideways every now and again to check out what the competition are up to. In fact, this is positively encouraged. Plagiarizing content is always wrong, and provides no benefit to marketers anyway, but sealing ourselves off from the outside world is simply pointless. Look around you, look at what others are doing, think about how you could do it better. Inspiration is the driving force for creativity and, no matter how much you try to bury yourself in facts and figures and conventional wisdom, your content must be creative. Your audience are only human, and humans get bored from time to time. It is up to you to combat this boredom and to maintain interest in your content. To do this you need to look inwards. What do you do when you get bored? You find something else to read, watch or do. What sort of things keep you from being bored? Things that remain fresh, interesting, diverse and useful. Work to introduce this freshness to your content marketing. Play with different forms of media, invite guest bloggers to work with you, or form content partnerships. The definitions of fresh and exciting change all the time; make sure you are alive to these changes. The AI involved in a lot of today’s automation tools makes it easier for you to define who your customers are. Your technology makes segmenting simpler and more accurate by grouping customers based on specified information – such as purchasing history, website activity, and demographic data. The beauty of today’s tech is that it also gives us a more accurate perception of buyer segments because it takes into account how buyers change over time. As your software continually ingests information, your buyer segments become more sophisticated and they are allowed to evolve with the changes in terms of buyer needs and wants. Sure, customer interviews, market research and customer feedback surveys are still valuable for optimizing your personas, but, combine this knowledge with what automation technology offers, and your personas become a lot more effective. 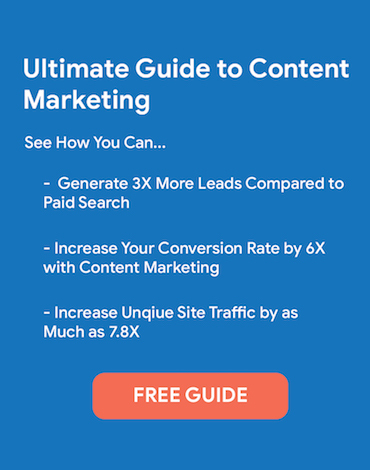 This gives you the insight you need to develop more effective content marketing strategies – that are both segmented and at scale. Taken another step forward, you can further segment your content with buying stages. Almost half of marketers use dedicated content for three to five distinct buying stages. This type of streamlined marketing can help to boost sales numbers because your audience will be more receptive to content created and delivered specifically for them. Better personas, more effective segmentation, and the ability to deliver customized content at scale… you can’t beat these kinds of results. Told you automation is an ROI machine for your content marketing! And then there’s customer experience. Nothing helps marketers deliver a better CX than technology. And CX is one area in which the bar is always rising. Customers grow accustomed to a better experience with brands that excel at CX, forcing other companies to either catch up or lose market share. You already know that investing in CX will drive the ROI of your marketing. Research shows that there’s a $3 return for every $1 invested in the customer experience. Lose less leads with an organized lead capture system. Every lead is contacted, exactly when they are supposed to be, with the right content. This means, potential customers aren’t neglected. Send leads exactly what they want based on how they interact with your website. Lead nurturing can be behavior based. Leads who probably do want another email to hear about your latest life-changing blog post will receive it in their inbox. Those who would perceive another email as overkill, won’t. Develop more relevant content. This is a big one for improving your strategy. You can track which content your audience responds best to and what type of content helps you achieve certain goals. Then, use these insights to refine your content development, giving your audience what is the most useful and engaging for them. Content can be personalized. Something as simple as calling someone by their first name will actually help to increase sales – studies show that personalized emails increase the average order value by 5 percent. Take personalization even deeper by using other information you’ve learned about your audience, and you’ll get even better results. Deep personalization can drive a 17 percent revenue increase. Predictive analytics are a gold mine for your content marketing strategy. With automation, you can connect the dots of how your buyers are interacting with your content at each stage in the customer lifecycle. And from this information, it’s possible to get a reasonable prediction of what each part of your content marketing strategy will result in. This goes further than being able to offer more relevant content for a better customer experience. With this type of analysis, you can assign values to different content offerings along the journey and project how effective each component, as well as the whole strategy, will be at driving sales – based on past performance and historical customer data. This makes it easier to determine how much to invest in different types of content in order to achieve the desired return. With attribution modeling reports, for example, you can tie a conversion or a sale to actions a customer or lead took when interacting with your content, such as downloading an ebook or registering for an event. Another useful step, for those with a big enough budget, is to tie big data from third-party sources into your marketing tools, giving you more information about who is interacting with your content and how. The bottom line of content must always be meaningful and valuable. You can craft a flashy bit of content, publish it, and then distribute it via your marketing automation platform, but your efforts will be wasted if the content is found to be ultimately of little to no value. Your audience are smart; they engage with you because they have a specific problem and require your expertise or killer product to resolve this problem. As such, marketers must respect this intelligence and make sure that each piece of content hits this target. Ask yourself: what is the point of this content? What is it trying to achieve? And is it successful? Once we start achieving results from the content we launch, it is tempting to get a little carried away. We spend time creating great content. We carefully select the automation platform which best suits our needs, then we put the two elements together and… hey presto… a rapid upturn in conversions and new customers. But what about the other end of the scale? What about the customers you have already acquired? Don’t they deserve love and support too? They certainly do, and failing to provide that support can be costly. A study found that 67% of customers who churn cited bad experiences as the reason for their leaving the fold – i.e. they were pushed away, rather than pulled by attractive offers elsewhere. Content can play a major role in preventing churn. Consider your interactions with displeased customers; what was playing on their mind? what issues needed to be resolved? Could these solutions be supported or provided with content? What’s the point in implementing a strategy without metrics to measure its success? Without such metrics, we can’t tell if our strategies have worked or failed, we can’t know if we are going forwards or backwards, in fact, we can’t be sure of very much at all. Fortunately, with the right kind of systems in place, the metrics we need to apply to data are within reach. There are many different ways to achieve success in the content marketing game. Many marketers set their sights on boosted traffic via inbound marketing channels, while others are aiming for enhanced brand authority and social media shares. Some may aim to garner improved customer lifecycle value via content-based support. Decide which outcome suits your organization and then what you will do to accomplish your aim. If boosted traffic was your target, analyze referrals and search engine keywords among visitors to your site to gauge if you have been successful. If enhanced brand authority and social media shares were your desired outcomes, use plug-in tools for your analytic software to assess whether these have been achieved. Alternatively, if enhanced support was what you wanted to provide, commission reports on data from your customer feedback channels to check on this. Use the data and the functionality at your disposal; then set about planning the next steps of your content strategy. The right marketing automation technology can push the reach of your content marketing strategy, giving you more impact and providing insights to help you improve even further. The outcome? Content marketing that’s more efficient and more powerful, and which offers a better return on investment; always a welcome trio of advantages. Your marketing automation, when you break it down, is one of the most effective tools you have for boosting your content’s ROI. This what you can use to demonstrate your demonstrate the worth of your content marketing, thus driving more support for your campaigns. 45 percent of agencies use their automation platforms to track and prove ROI. In order to seriously improve your conversion rates, to capture more lead data, and to boost sales, automation has to be viewed as much more than a time-saver and a platform for churning out automated content. While, for a lot of companies, automation started out with email and then social media, today it is a lot more than this. 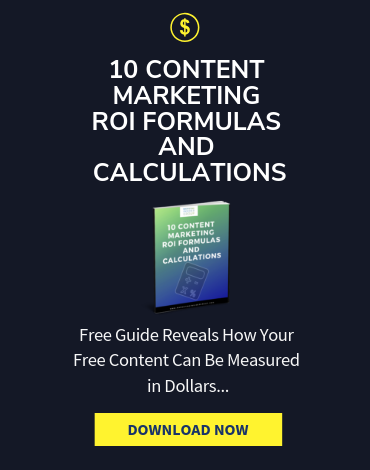 Some time back, I hosted one of GetResponse’s Automation Hub webinars, in which I discussed several formulas that will help marketing professionals identify and calculate ROI for their content marketing efforts. The owned platform is important – that’s the big difference. Remember that by the time a consumer is ready to make a purchase, they’ve already completed 90% of the buyer’s journey. And that’s where the various calculations for ROI on automation can help. That growth over time can come in the forms of sales as well as savings on other marketing costs. 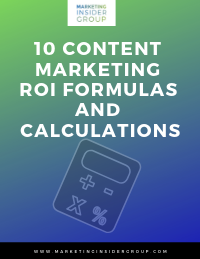 If you need simple, mathematical formulas that can put a monetary value on your content marketing automation efforts, watch this video today! 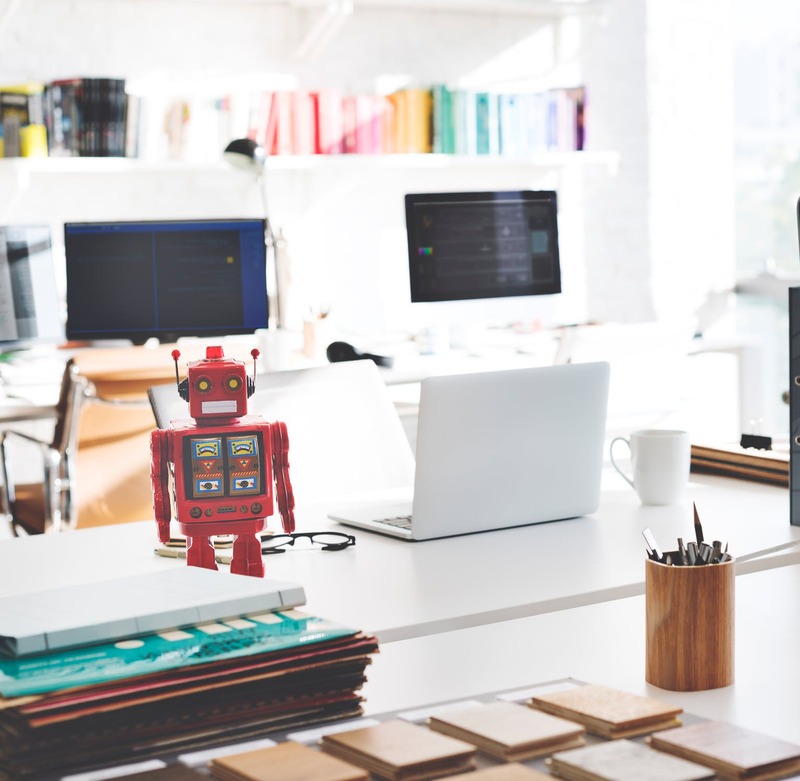 View automation as the intelligent, AI-inspired machine that it is, and work towards unleashing its full potential for your overarching content marketing strategy. Then you’ll start seeing the ROI you want and deserve. At a recent content marketing workshop, someone mentioned that they started following me on Twitter and that I’d tweeted a few times during the group discussion. I laughed and mentioned that it was content marketing automation at work. This is something you can do as well! How can I help you get started? Contact me today! Great tips Michael! I have also started using google alerts to get ideas for content creation over a specific keyword/keywords. 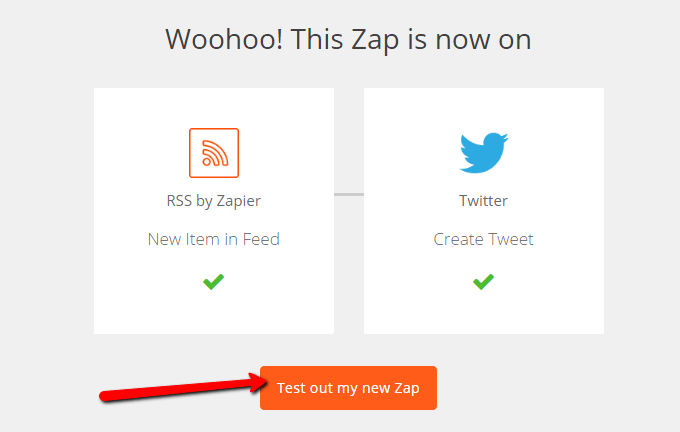 Using zapier to add the leads collected on the website into the email newsletter list is really a helpful tip. Oh great. I’m so happy you found some value in those ideas!